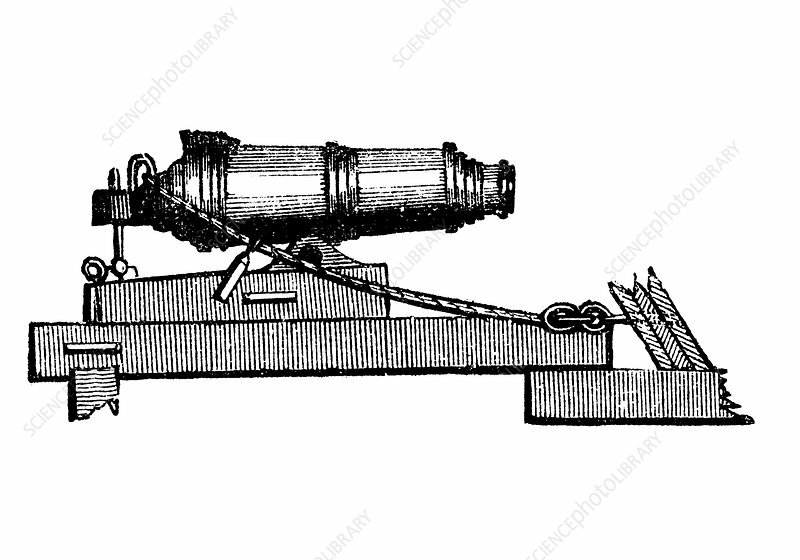 Carronade, short piece of naval ordnance with large calibre chamber, like a mortar. Name said to come from Carron Ironworks, Scotland. Wood engraving, 1850.